For many years, this record has been sitting in the attic at my brother´s house, where I still store some old stuff from when I was a teenager. It was on a visit to my brother last year, in that dusty attic, when I realized that I have been acquiring the same type of records that I present here since I was a child. 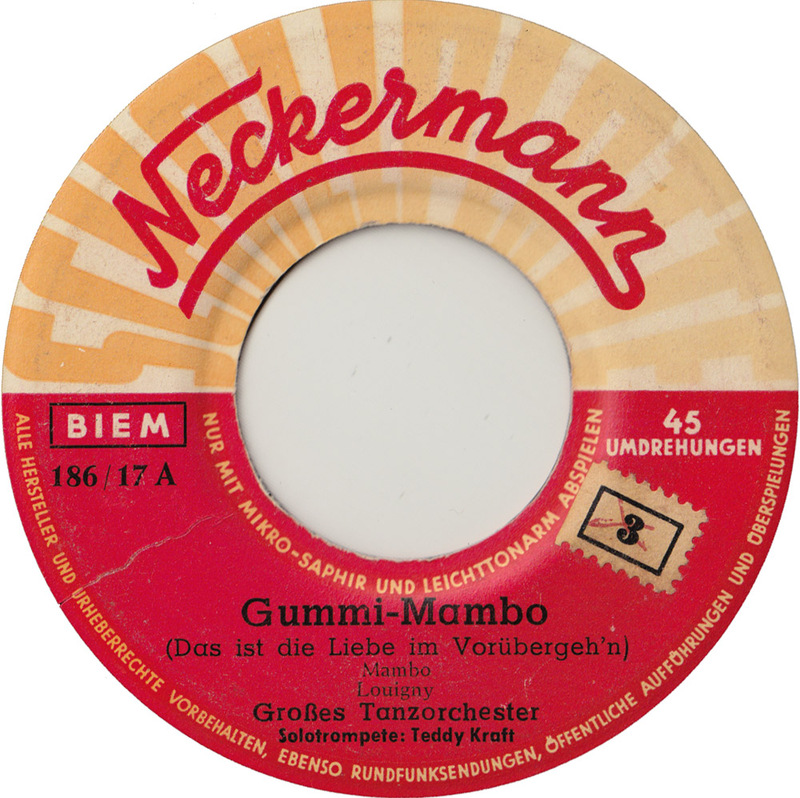 Like this Neckermann 45. 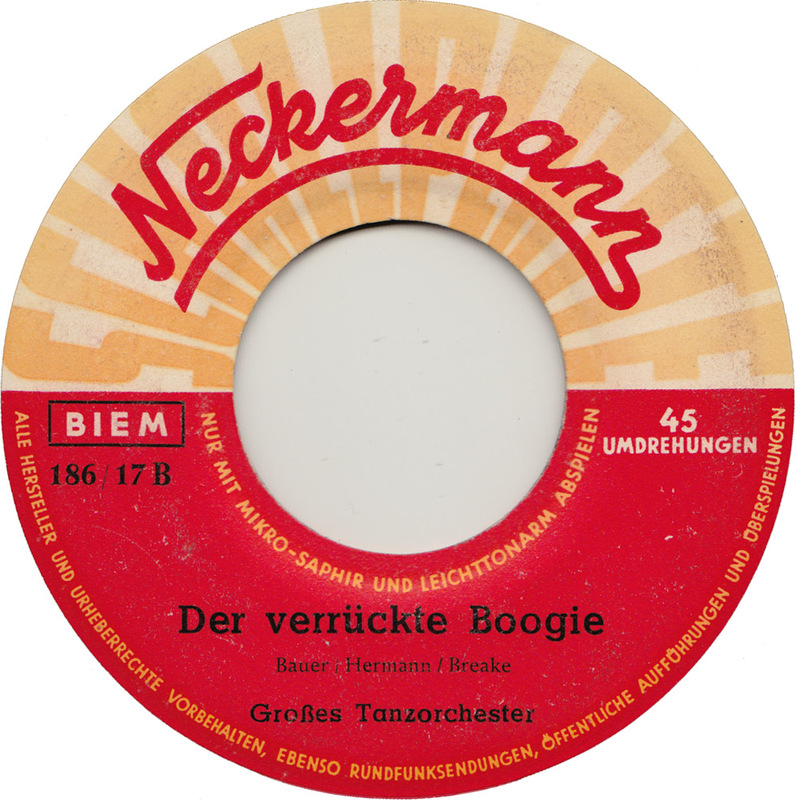 In the mid 50s the Neckermann mail-order company tried to get a piece of the booming record market with their own short-lived budget label. Established in 1948, Neckerman declared bankruptcy in 2012. Neckermann travel agency still operates today. This record is perfect blog material: defunct budget label, anonymous band, 50 plus years old songs and never been reissued. Nobody knows this stuff exists. Nobody cares about it. I might as well claim to have created it. German Version of Perez Prado´s Cherry Pink and Apple Blossom White. Teddy Kraft on trumpet.